When making the post previous to this one, I forgot about the group of photos that I shot early last week as well. 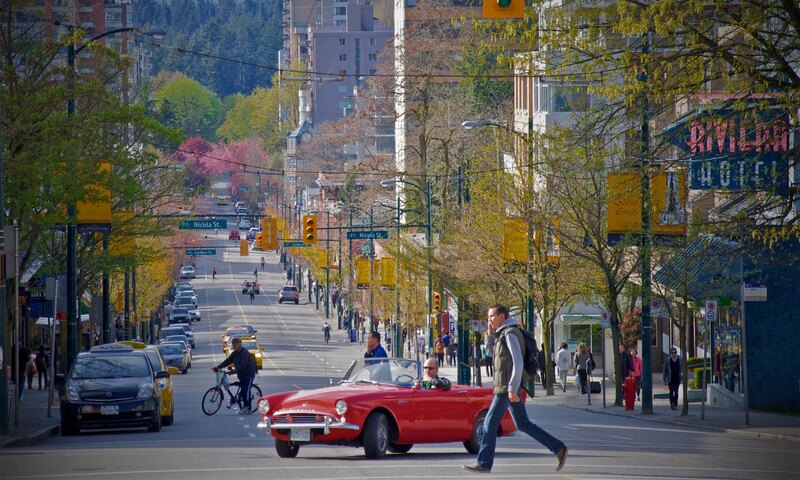 This was a photowalk during a very amazing, early spring day here in Vancouver. See all the photos from this set on Flickr. About two weeks ago, Rebecca and I went for a walk in Stanley Park as we so often do. On one of my early morning runs that took me along the drive near Prospect Point, I’ve noticed a trail that was never visible since the storm damage from over a year ago. I always thought that it was interesting how you could see the Merilees Trail from Stanley Park Drive due to all the fallen trees, but then the gate blocking access to that and the Siwash Rock Trail was gone. On our walk, I said I wanted to venture that way and see what we could find. What we found was somewhat surprising. Gone is all of the wooden, almost farm-like fence that separated you from falling fifty feet onto the Seawall below. Now it has been replaced with a craftily welded, metal railing that goes along the entire length of the trail, all the way to Siwash Rock itself. There was also this bit of landscaping that is destined to become a posh little spot along the trail. At first I didn’t think there was much to all the piles of gravel and the machinery in the area, but looking back at it from this angle, you can see the tiny steps going into a fun little spot that will be bound to attract multitudes of couples looking to make out from the nice viewpoint. It’s nice to see that this millions of dollars being spent on the cleanup in Stanley Park is resulting in some obvious results. The landscaping is questionable, but there is also a vast amount of work down to improve the drainage in the entire area of Prospect Point. I’m sure this is to ensure that landslides will have less of a chance to occur in the future, but nature has its way of proving that wrong. Of course, I already mentioned Hollow Tree, but it’s still sad to see it go. Stanley Park has been there a lot longer than Vancouver has existed, so life will go on, millions of dollars at a time.